FAQ: Can I paint over a surface already sealed? When you are asked to clean and seal concrete pavers that has not been sealed for almost a decade and suffered from years of leaf stains and dirt buildup, you have to take special care as to not damage the surface any further. Johrina from Australia blue had to deal with such a situation, and she handled it well. The results were satisfactory and the owner is able to keep the surface clean with without much trouble. View full case study on our website. Download the PDF. 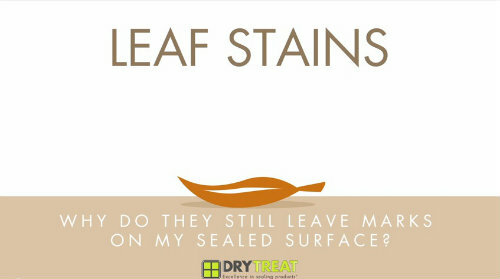 Learn more about stains and marks caused by leaves falling on your surface and what you can do to minimize the staining. Our Youtube channel has educational pieces on sealing, cleaning and explanation on common problems that occurs on porous materials. Subscribe to our Dry-Treat Channel now! Can I paint over a surface already sealed with STAIN-PROOF™ Original? 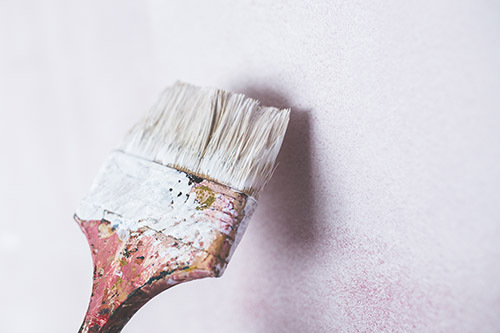 The answer is YES, it is possible to paint over a surface that has been treated with STAIN-PROOF Original™ ... BUT a solvent based primer must be used first. Otherwise the treated surface will repel the paint. STAIN-PROOF™Original repels water and oil, so water and oil-based paints will get repelled. However, STAIN-PROOF™ does not repel solvents. For more Frequently Asked Questions, head over to our FAQ page on our website.